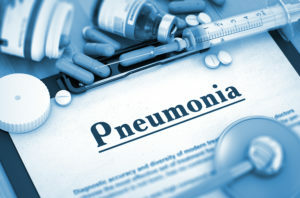 What May a Doctor Want to Know During a Visit for Suspected Pneumonia? As a family caregiver, taking care of your elderly loved one’s health and well-being is a top priority. You want to do everything you can to help them avoid serious health issues, and manage them effectively if they do occur. Senior Care Rochester NY – What May a Doctor Want to Know During a Visit for Suspected Pneumonia? When it comes to major issues, such as pneumonia, it is critical that you act quickly, and do not hesitate to get your senior the care they need. As soon as you suspect your senior might be struggling with pneumonia, it is critical to get them into their doctor so you can talk about your concerns, and your parent can get the examination and diagnosis they need to properly manage their condition. As you are preparing for this appointment, it can be helpful to know the types of questions the doctor might ask, and the information you will need to provide. This can allow you to take notes so you can thoroughly and effectively answer these questions, or ensure your parent provides as much information as necessary to get them the proper diagnosis. If your parent has gotten the flu shot or a pneumococcal vaccine, and when. Accompanying your aging parent to doctor’s appointments is just one of the many services senior care can provide for them. Many older adults struggle with chronic health issues that require frequent trips to the doctor. As a family caregiver, working these appointments into your schedule can be difficult, and your parent may feel as though they have to always work around your availability or rather than how it works for them. This can not only make it difficult for your parent to feel empowered to take care of their health, but can also limit their sense of independence. Senior care can make a difference. 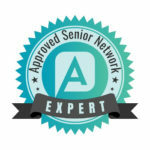 And senior home care services provider can accompany your senior to their appointment, providing transportation, physical support, companionship, and even take notes for you to keep you updated on all developments for your senior. This can help both of you feel more confident and secure about your senior’s health, and their ability to manage it throughout their later years.